To support and develop internal medicine as an integrative specialty. To develop the knowledge and understanding of pathophysiology, diagnosis, treatment and prevention of diseases related to internal medicine. To promote biomedical, clinical, behavioural, nutritional and epidemiological research concerning diseases related to internal medicine. 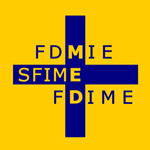 To help to promote public awareness and understanding of diseases related to internal medicine. To promote education and training of doctors and other health professionals in the field of diseases related to internal medicine. To establish and maintain contacts with other institutions and societies sharing the same activities. To undertake any activity which helps to attain the objectives set out above.